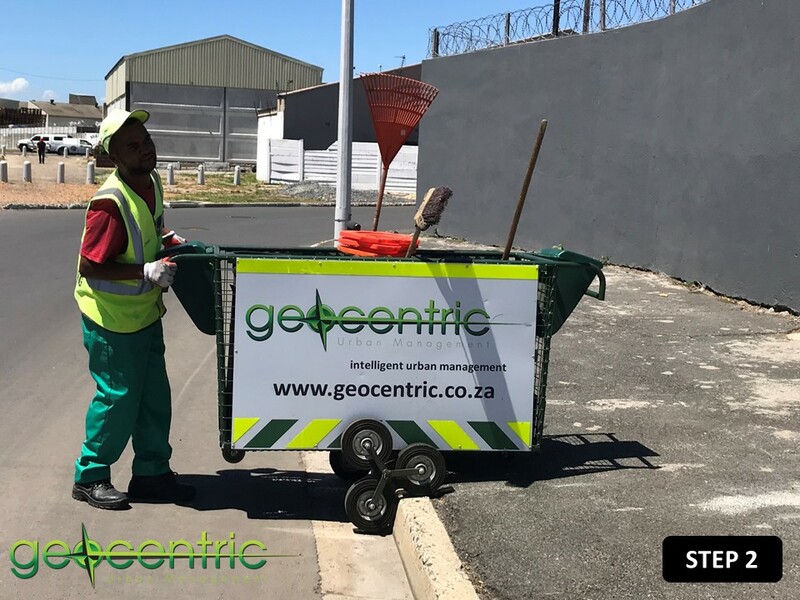 The Geocentric Urban Management Trolley Project was initiated in 2017. 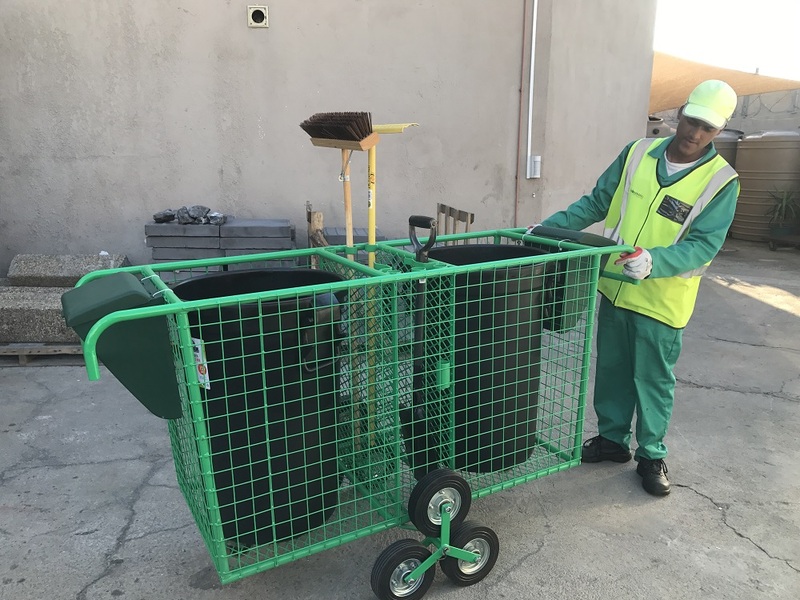 The aim of the project is to provide urban cleaning and maintenance teams with a platform to improve their daily tasks, assist with moving of equipment and tools and enable recycling while performing their tasks. To achieve some of these design principles, Geocentric looked at simple solutions from other designs, for example, the stair-climbing suitcases used by so many travellers. 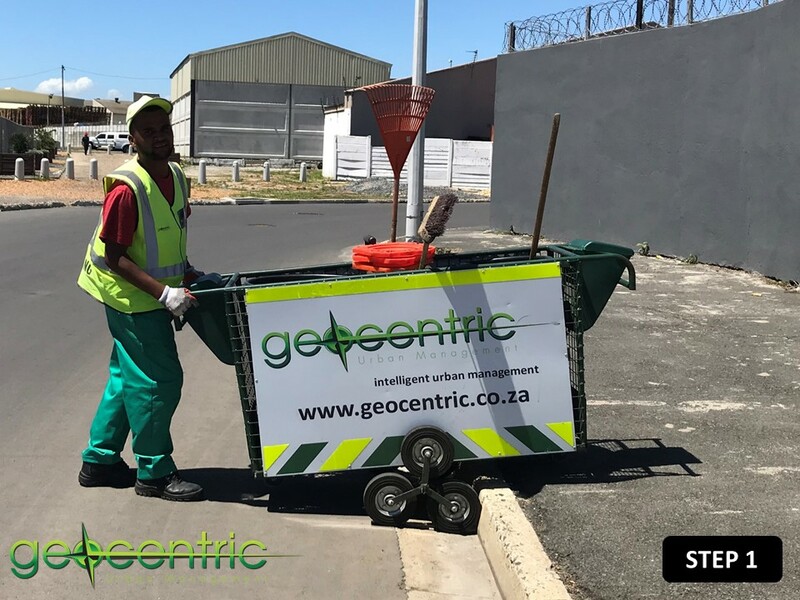 By scaling up the design for the urban management trolleys, we could produce a sidewalk and pavement climbing trolley where the urban management worker needs minimum effort to get onto and off pavements to perform their duties. 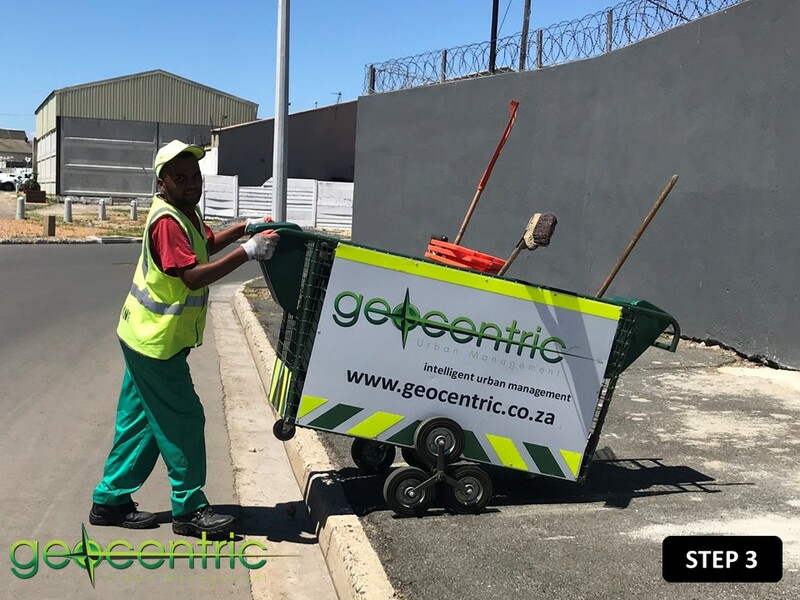 The trolleys were also designed to be pushed from any side with key tools located in the middle so that it is in fact easy to use it for a two-man team operation. On each side of the trolley a plastic tool box allows storage for small tools. 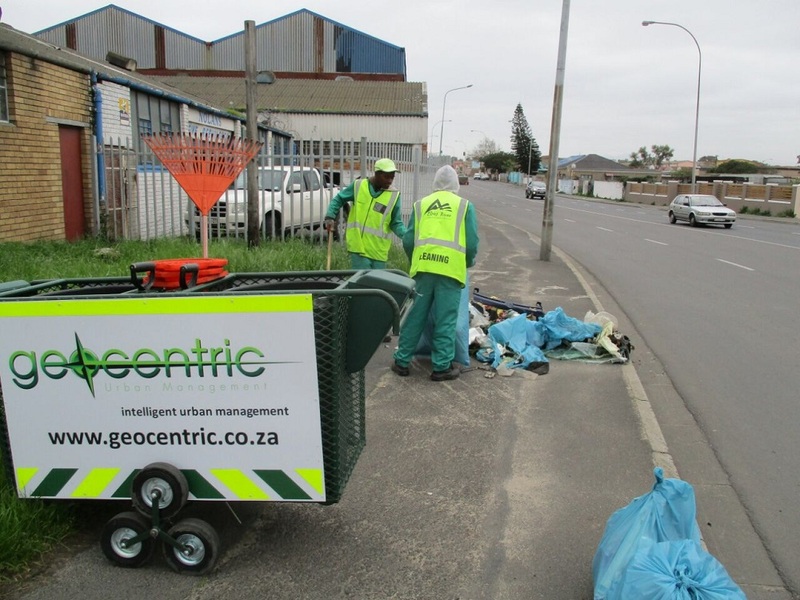 Recyclables like tin cans, glass and plastic bottles are collected by the urban management workers throughout the day as they clean the streets and public spaces and at the end of each day they separate the items into baskets whereafter Geocentric recycles the items. 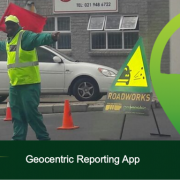 This is another way in which we make CID operations more sustainable and environmentally friendly as we prevent a vast amount of waste from simply going to landfills. 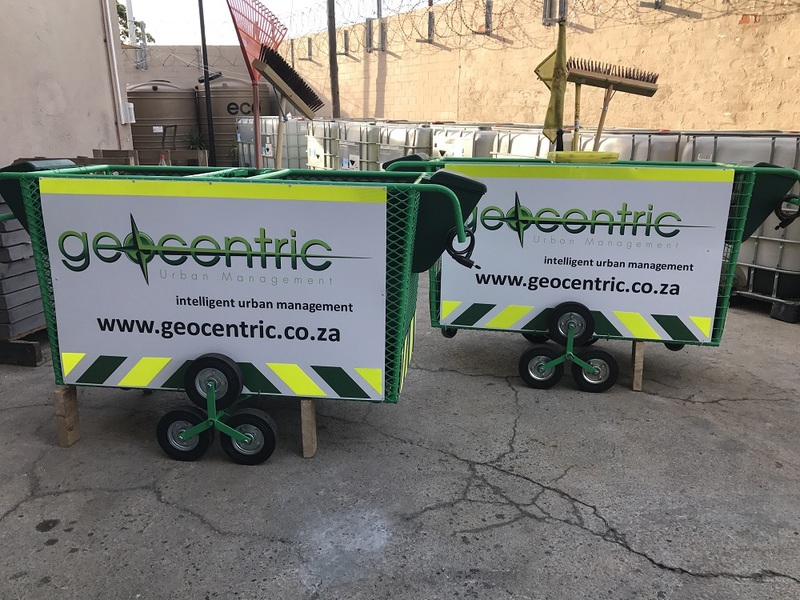 Geocentric have rolled out these trollies in the Elsies River and Beaconvale City Improvement Districts and plan to roll them out to all the other CIDs under Geocentric management through the course of 2018.